KSC Pride's full electboard is from left to right: Laurel Mendelsohn, Vivian Valengavich, Sam Whitaker, Jenna Hall, and Alex Hess. Despite being a time of life I generally loathe, high school is so important for so many people. Aside from the obvious necessity for access to higher education or at least a high school diploma, it is arguably just as important for social development. One year in particular comes with particularly important events: senior year. Most years there are dances and other socials that students of all years are free to attend, but senior year is typically the year people gain access to the biggest dance of their high school careers — Prom. 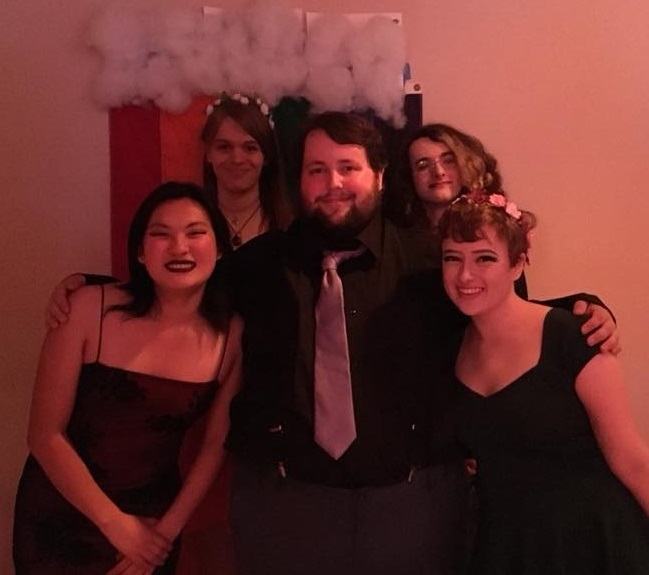 This past Thursday, my club (KSC Pride) hosted a “Second Chances Prom” or Pride Prom. The goal of the event was to allow people on campus to come and experience a Prom where they could ask or take whoever they wanted to the dance without fear of reprisal. Navigating Prom as a queer student is fraught with unseen difficulties to people who don’t experience the many biases and forms of oppression that beset LGBTQ students. Some schools will not allow people to dance with people of the same gender, or will strictly enforce dress codes (which besides being just homophobic or transphobic, are fairly sexist in general). If the school has a “Prom King” and “Prom Queen” then the queer students will find it hard to be allowed consideration for the titles. Some students in other states have had to sue their schools to be allowed to take a date of the same gender from other schools to their prom. Straight students are often allowed to bring a plus one who didn’t go to the same school without much fuss aside from being registered. Essentially, queer students have to jump through so many extra hoops just to be allowed to take a person they have feelings for to prom because that person isn’t of the opposite gender. The stories of kids fighting their schools in court for the right to take their preferred partners doesn’t even take into account those who will silently accept oppressive rules. 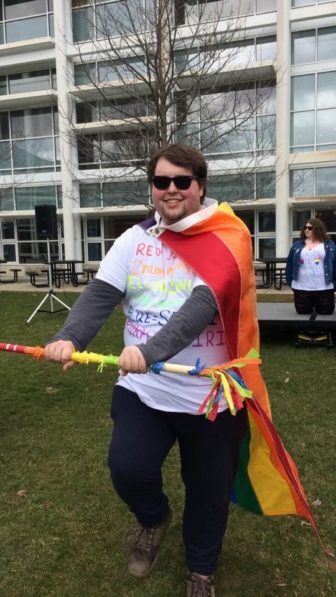 And that isn’t to say that they simply accept it, many queer students will simply go along with certain expectations in an attempt to mollify those who would react negatively. I can say personally, I did not dare ask a guy to prom my senior year because I was afraid of the reactions of my parents, as well as the school and my student peers. Fear of reproach is never expected from a single source, when one is a minority. There is a constant worry that one of multiple groups of authority or influence will have some sort of reaction that could be quite negative. In one of my previous articles, I talked about the fear of coming out, and this should echo through again. Coming out, though so incredibly brave, is a lot to ask, and potentially life-threatening. 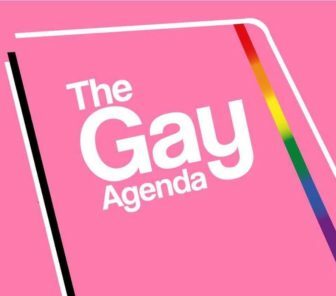 Sam Whitaker is taking over The Gay Agenda for InDepthNH.org. Additionally, not being able to attend Prom identifying or presenting the way that expresses your truest self is damaging as well. For Trans and nonbinary folk, being able to attend a prom presenting in the way they want is so important. Often out of fear Trans people have to present in a fashion that does not reflect who they really are. Imagine having a night that is held up as so important and magical, but having those memories woven through a nightmare of misgendering and deadnaming the entire night. I do not speak for all Trans people in this regard, however. Having the opportunity to come to the Pride Prom as their truest self was the goal I envisioned when we first planned the event last year. And for those wondering about it: yes, straight and cis people were invited to come to Pride Prom as well. The goal was inclusion, and that includes any other student who wanted to come. In the end, it was mostly students who normally attend our KSC Pride general meetings, but notable amongst the attendees were some Resident Assistants. As an RA myself, seeing them come to support the event and also to just have fun and dance themselves was incredibly heartwarming. It demonstrated to me that there are students who though they may not identify with the typical members of our club, were willing to attend and show their love and support for us. Even if you aren’t the president of a club, you can still do so much to make whatever environment you are in comfortable and inviting to queer people. Sometimes it can seem like a lot, since a large part of the process may be unlearning certain societal expectations. But, I wholeheartedly believe that when you increase your capacity for understanding and compassion, you will open up even more chances to make superbly meaningful connections with other people. Even though a lot of human decency to each other should be expected, I find that those who break down their biases and truly try to make the connections, are the ones worth holding onto so much more. For me, having a Second Chances Prom was just as much about letting queer students be themselves and free, as it was about opening the hearts of the straight and cis students.